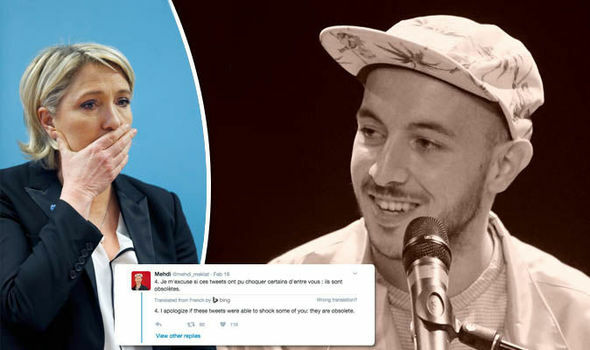 On Saturday, Mr Meklat cleaned his Twitter account – he went from 50,000 to 503 tweets – and issued a public apology, branding his hateful tweets as “obsolete” and “irrelevant”. Members of the Printemps républicain, a left-wing organisation explicitly formed to promote and protect secularism in France, bitterly condemned Mr Meklat’s tweets in a press release and said that, had he been a member of France’s far-right, he would have been excoriated and denounced by the press “a very long time ago”. They wrote: “For years, Mr Meklat published racist, sexist and hate-filled tweets. And yet, editors and newspapers continued to hire and support him. "If a far-right journalist had tweeted what Mr Meklat tweeted, he would have been lynched by the press and would probably have ended up in court."